In 1999, Fairy Tales Queer Film Festival launched. Our city had been divided for too long. Queer film allowed us to connect with one another, discuss important issues, disrupt conventional narratives and grow closer as a community. Fairy Tales Queer Film Festival grew to become its own organization, formerly known as Fairy Tales Presentation Society. we began our OUTReels Diversity Education Program, which provides diversity education through film and various other art forms to communities across the province. our Youth Queer Media Program launched as a youth queer advocacy program in partnership with the Calgary Police Service. The program gives audiences the opportunity to look through the eyes of our emerging filmmakers, and gives our young filmmakers the tools and resources to share their perspectives. The Coming Out Monologues, YYC became an official program under the Fairy Tales Presentation Society's umbrella. The annual event is a celebration of community that bring a diverse selection of spoken word, movement, and musical pieces to the stage every season! Fairy Tales Presentation Society, with the support of RBC, held the first ever Ally Toolkit Conference. The Ally Toolkit Conference is a one-day conference offering a holistic toolkit for better ally-ship in schools, at work and in our communities. 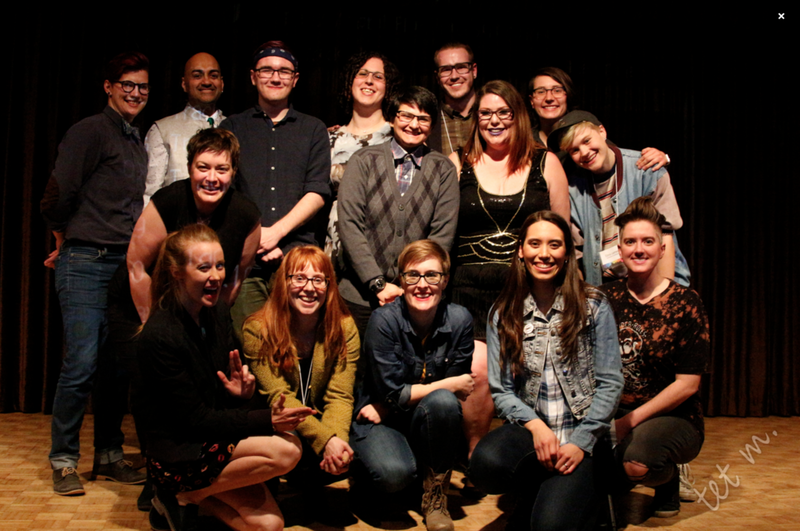 In 2018, Fairy Tales Presentation Society became Calgary Queer Arts Society. Since our humble beginnings, we have experienced tremendous growth and our organization has evolved to become so much more than a queer film festival. In order to provide a more holistic representation of who we are today, we felt that it was time to introduce a new parent brand. We are ready for the next chapter as Calgary Queer Arts Society, and are confident that this shift will help to grow our organization, strengthen our programs and extend our impact across the province.